Home / Conventions • The Road To Comic Con / Lionsgate And WWE Studios SDCC Signing! 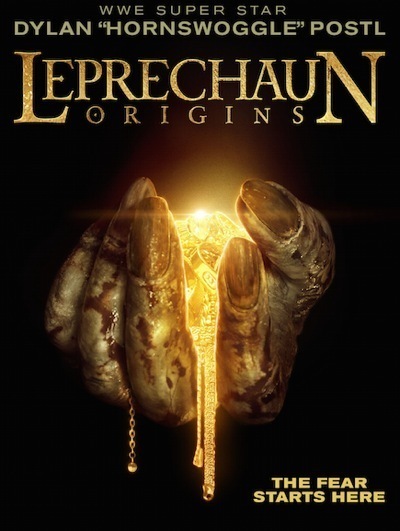 Leprechaun: Origins! 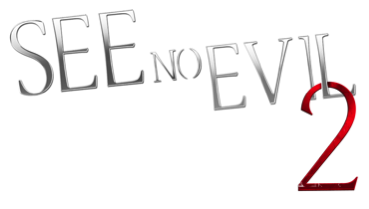 See No Evil 2! And More! Lionsgate And WWE Studios SDCC Signing! Leprechaun: Origins! See No Evil 2! And More! Lionsgate and WWE Studios have released some awesome SDCC info! They have a panel and signing for Leprechaun: Origins and See no Evil 2! It will be on the booth floor. Times and dates are below! WWE Studios and Lionsgate will host a panel to highlight and share secrets from the set of their soon to be released collaborations Leprechaun: Origins and See No Evil 2. The panel will feature See No Evil 2 directors Jen and Sylvia Soska, the twisted twins of American Mary fame, who will be joined by their on-screen psychopath WWE Superstar Glenn “Kane” Jacobs and “scream queen” Danielle Harris (Halloween 4, Halloween 5). Also in attendance will be the director of Leprechaun: Origins, VFX guru Zach Lipovsky (Tasmanian Devils); and the star of the cult classic reboot, WWE Superstar Dylan “Hornswoggle” Postl. The panel will include See No Evil 2 and Leprechaun: Origins producer and WWE Studios president Michael Luisi, who will unveil the hotly anticipated and re-imagined looks of the new Leprechaun and Jacob Goodnight to fans. The panel will be moderated by pop culture expert and television personality Carrie Keagan (formerly of VH1 Big Morning Buzz Live with Carrie Keagan and G4’s Attack of the Show! ), and will take place in room #7AB at 7pm on Thursday, July 24th. SYNOPSIS | Backpacking through the lush Irish countryside, two unsuspecting young couples discover a town’s chilling secret. Ben (Andrew Dunbar), Sophie (Stephanie Bennett), David (Brendan Fletcher) and Jeni (Melissa Roxburgh) quickly discover the idyllic land is not what it appears to be when the town’s residents offer the hikers an old cabin at the edge of the woods. Soon, the friends will find that one of Ireland’s most famous legends is a terrifying reality. SYNOPSIS | Jacob Goodnight (WWE superstar “Kane”) fell to his apparent demise from high atop the Blackwell Hotel in See No Evil, and this terrifying sequel picks up where the last one left off. With Jacob’s body lying on a cold sub-basement slab in the city morgue, Amy (Danielle Harris), a mortician, is surprised when a group of friends pay her a late-night visit for her birthday. But the surprise soon turns deadly when the psychopath everyone believed to be dead sets-out on a horrific killing spree, and Amy and her friends must do whatever it takes to survive. 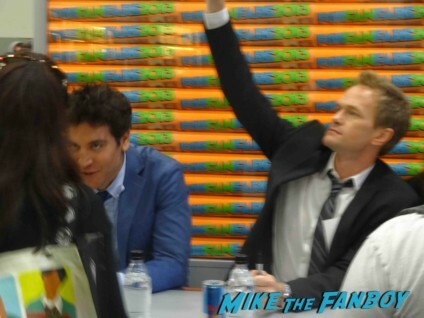 Billy Meets The Cast Of How I Met Your Mother! Jason Segel! Alyson Hannigan! Josh Radnor! Cobie Smulders! Neil Patrick Harris! Autographs! Photos! And More! Crimson Peak Character Posters At SDCC! Mondo Unveils Frightening Releases! I wonder if Lionsgate has a separate press release to come or if this really is the only thing they have going on. Hard to believe they won’t have anything Hunger Games! Also, a double-sided one-sheet for the signing?!?! I hope it doesn’t smear when they flip it over for the other movie to sign!